I suppose it comes with the job but people have a habit of asking me, 'What would Gladstone think...' about such and such? Well, it is often impossible to say, although admittedly, that doesn't always silence me. Today, somebody asked me what Gladstone would think about our contemporary Christmas. Hot off the press at Gladstone’s Library is the brand new 2017 programme of events and it’s looking like the busiest and most eclectic year to date. With residential courses on Remembering Slavery, Building a Sustainably Creative Life, considering The Great War in Symbol, Memory and God, and Putting the End of the World in Perspective; author talks from some of contemporary literature’s most exciting talents; and a range of literary and political festivals, there really is something for everyone. 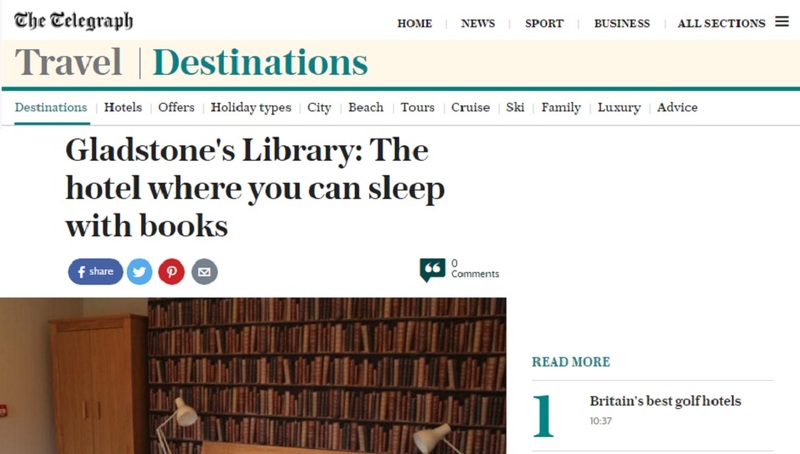 That’s how Telegraph Travel editor Rachel Cranshaw describes the Library in her article published today, after her two-night stay with us in September. 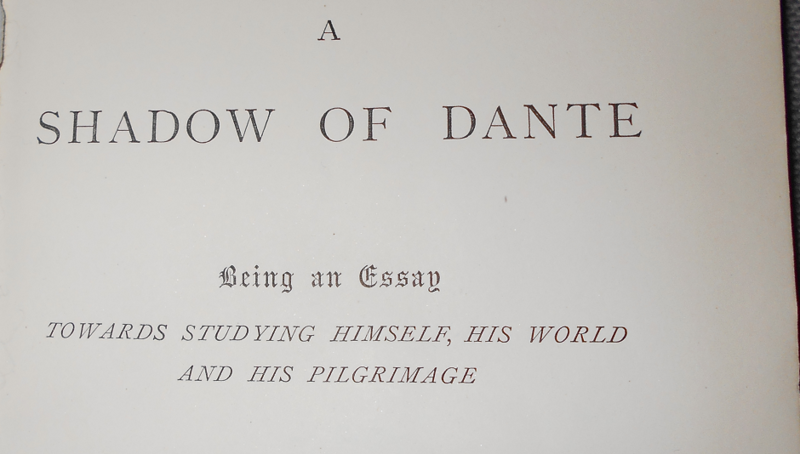 Most people have heard of the poet Christina Rossetti, sister of the Pre-Raphaelite painter and poet Dante Gabriel Rossetti, but fewer readers may be aware there was another sister, Maria. Fewer still may know that she was also a published author. 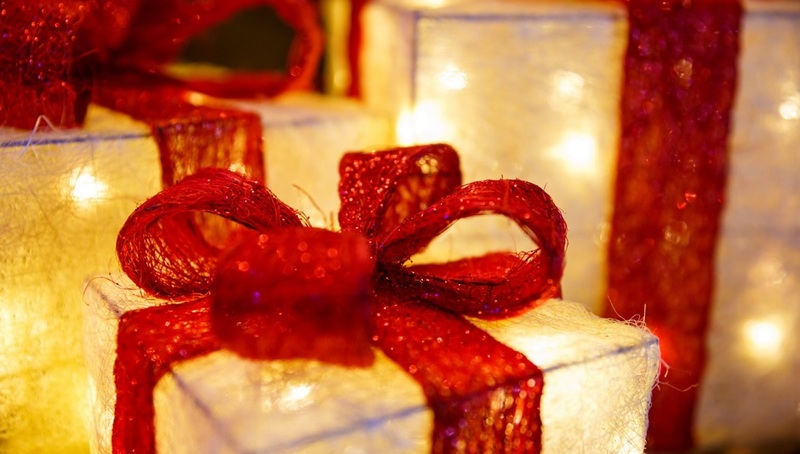 Tired of buying gifts which are almost instantly cast aside or forgotten about? How about giving a gift to a loved one which really makes a difference this Christmas? The ongoing support of the many Friends of Gladstone's Library enables us to meet our day-to-day running costs and keep our beautiful library open and accessible to all. 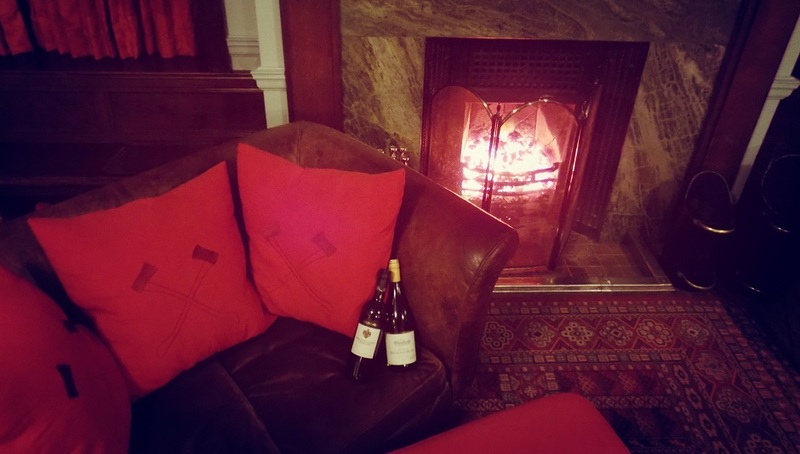 A roaring fire, home-cooked mince pies and a gloriously dressed Christmas tree taking pride of place in the common room? Christmas is coming to Gladstone’s Library! 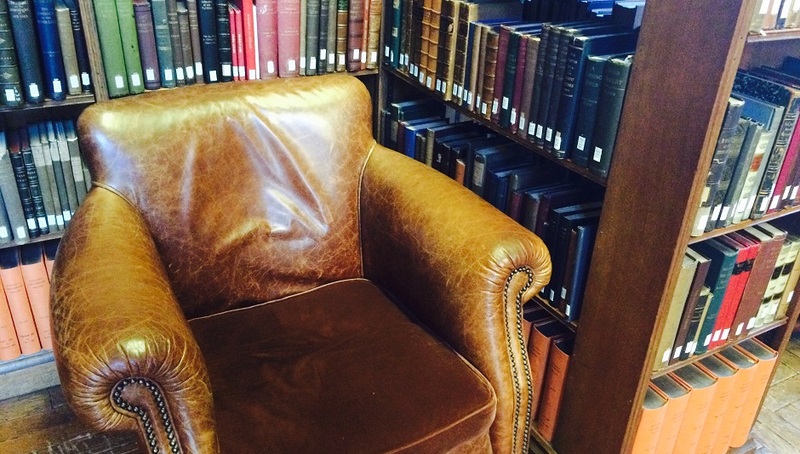 At Gladstone’s Library we like value for money; who doesn’t? 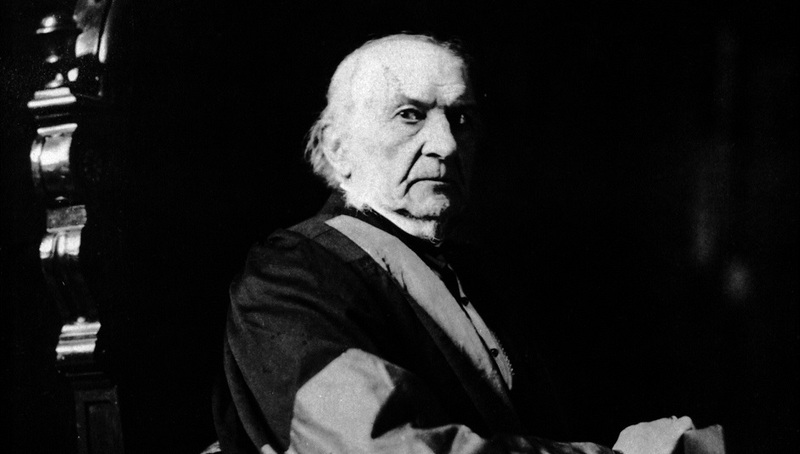 It was William Gladstone’s wish that no one be prevented from staying or studying at his Library by financial constraint. 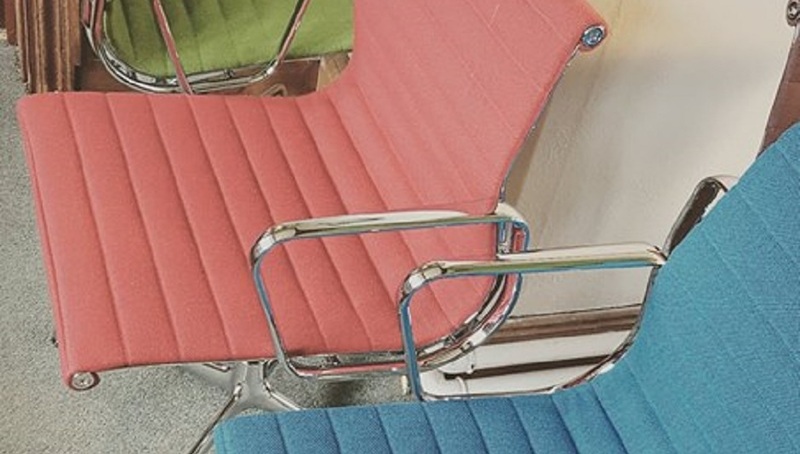 Pay just £20pp for our all-day conference package! 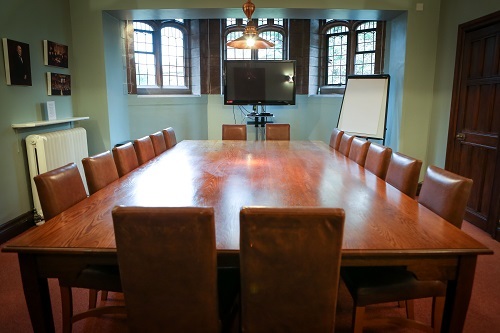 Book one of our conference rooms before 15th November for any date until 28th February 2017, and we will charge you just £20 per person for our all-inclusive full day package. 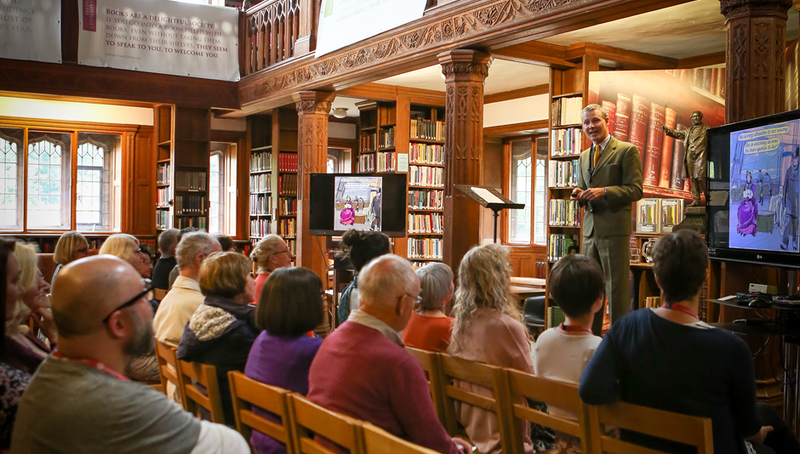 Last week (18th – 22nd October) Gladstone’s Library hosted 107 people who, over the course of two conferences and one public lecture, reflected on their Christian Faith, what is essential to Christian faith and how could it be reframed in the light of Biblical scholarship. Tickets are selling fast for Hearth, the two-day micro-festival which returns to the Library Saturday, 29th - Sunday, 30th October with a wonderfully eclectic programme of speakers. 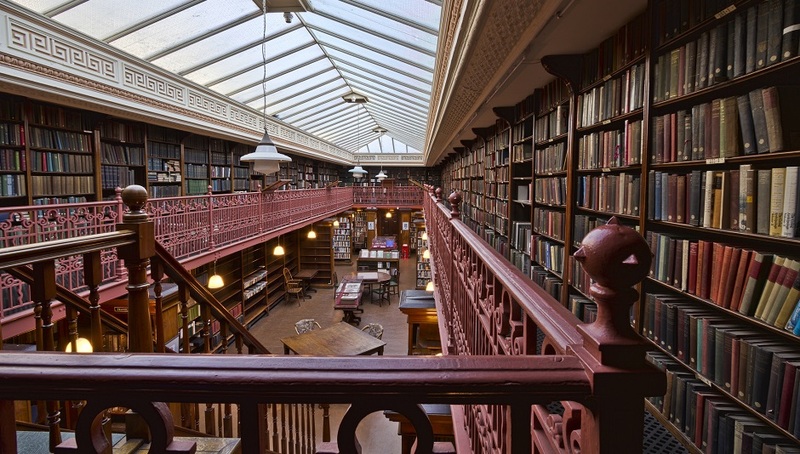 Gladstone's Library on BBC Radio! 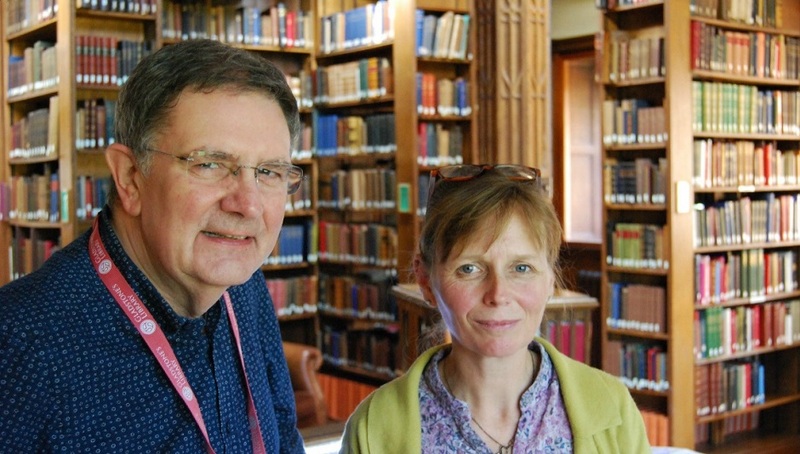 Last month BBC Radio Wales’ All Things Considered visited Gladstone’s Library to speak to Warden Peter Francis about what role our Victorian library plays in contemporary life. 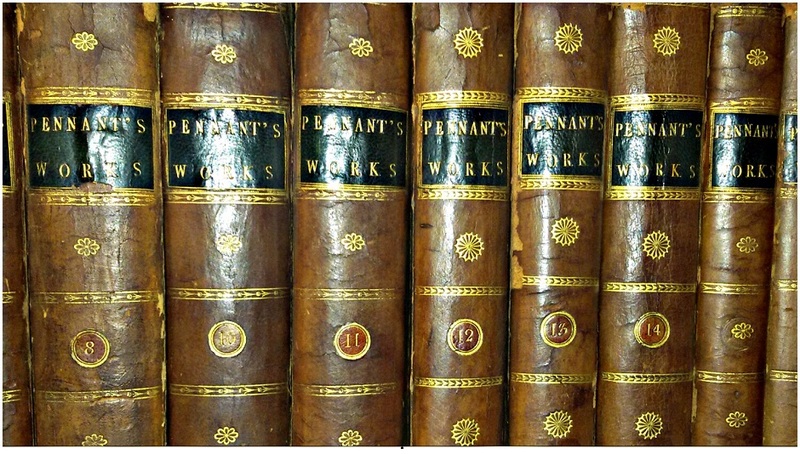 Thomas Pennant: Welsh Naturalist, Explorer, another man before his time! 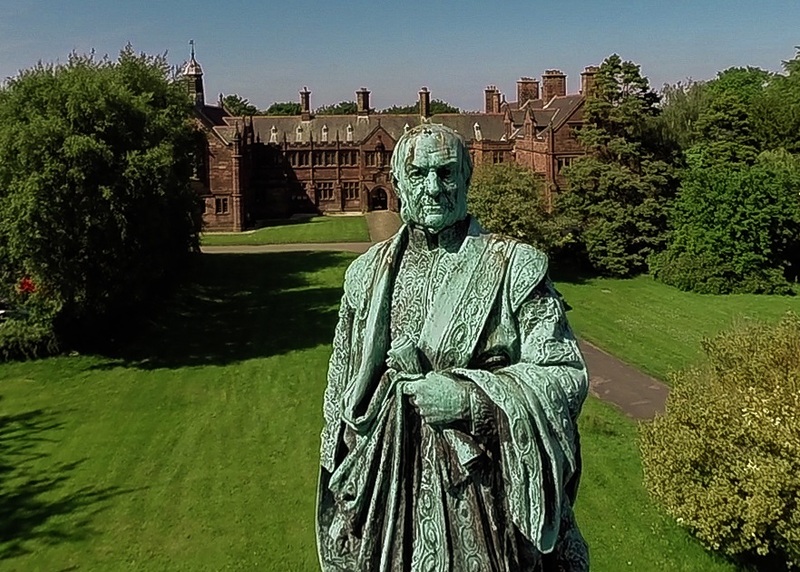 Our founder, William Ewart Gladstone, was not the only famous figure connected to Flintshire. Thomas Pennant, a famous polymath, naturalist and traveller of the Eighteenth Century, was born and lived in Flintshire. 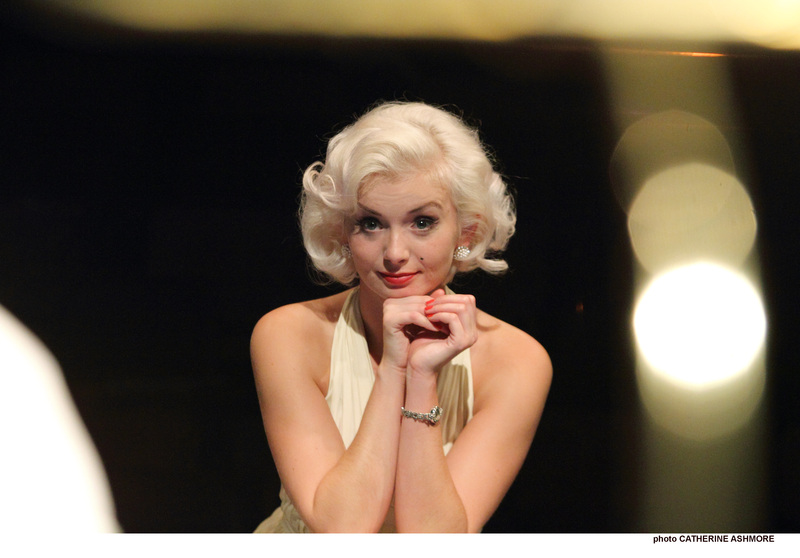 Theatr Clwyd, Mold, is offering friends of Gladstone's Library a 10% discount off full and concession ticket prices at all performances of Insignificance. A creative partnership has been recognised at a national awards ceremony. 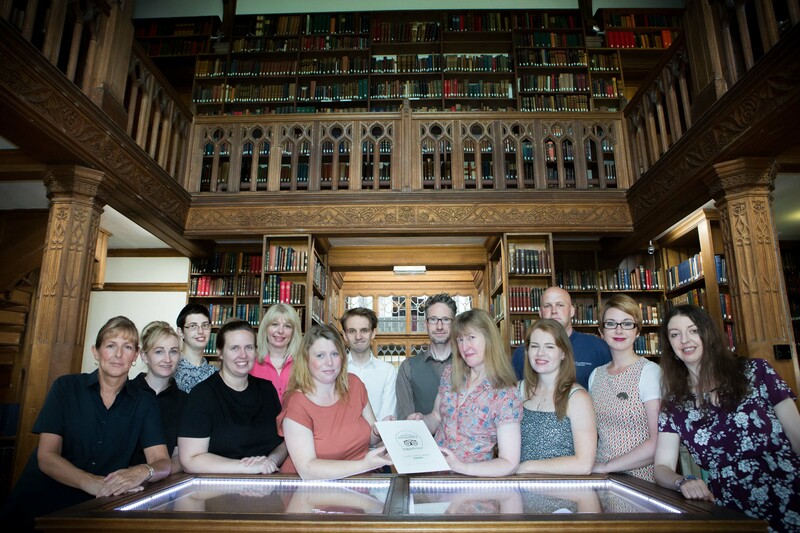 During the annual Arts & Business Cymru Awards, support given to a scheme run by Gladstone’s Library was acknowledged as a ‘model of excellence in philanthropic giving’. Ask someone to name a Virginia Woolf novel and they may well mention To The Lighthouse or Mrs Dalloway. 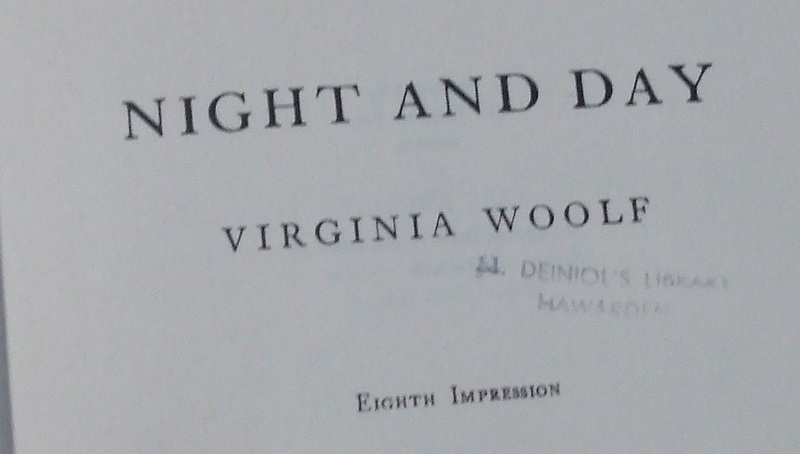 Night and Day, Woolf’s second novel published in 1919 – a copy of which can be found in the Annex – probably won’t come up in conversation unless you are talking to someone who is a dedicated Woolf reader. Night and Day isn’t what you might expect of her. Think of Woolf and the word experimental comes to mind. It’s also somewhat longer than some of her later novels. This is early Woolf, on the way to breaking with convention and doing things differently, but not there yet. On Sunday 4th September, at approximately 5pm, I was the lucky recipient of a bout of applause. 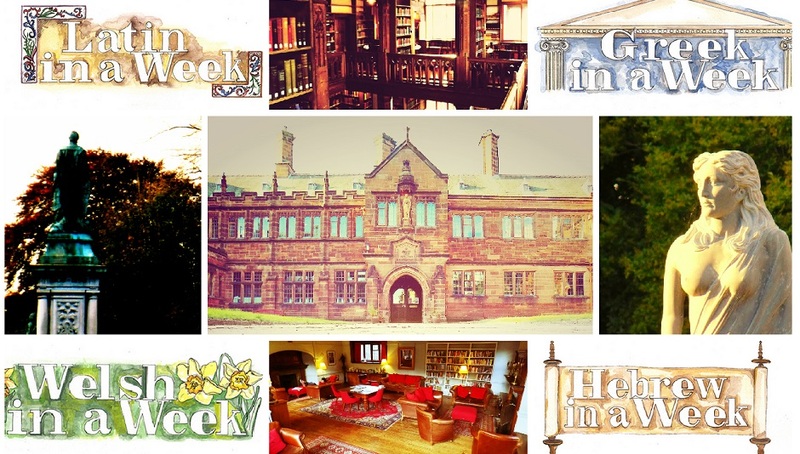 Over 80 people showed their appreciation in the usual way for two-and-a-bit days of Gladfest, our now annual fixture where the brightest stars of the literary firmament come to Hawarden. If I do say so myself, that applause was especially well deserved this year. 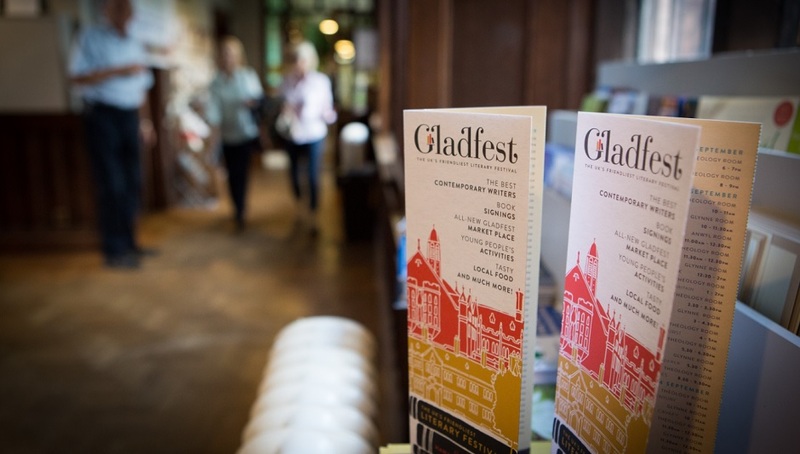 Gladfest has always been good but there was an energy about it this year that really made it one-of-a-kind. Gladstone’s Library’s 2017 Writers in Residence Announced! Gladstone’s Library has announced the names of the five winners of its Writers in Residence award and the recipient of its Political Writer in Residence award for 2017. 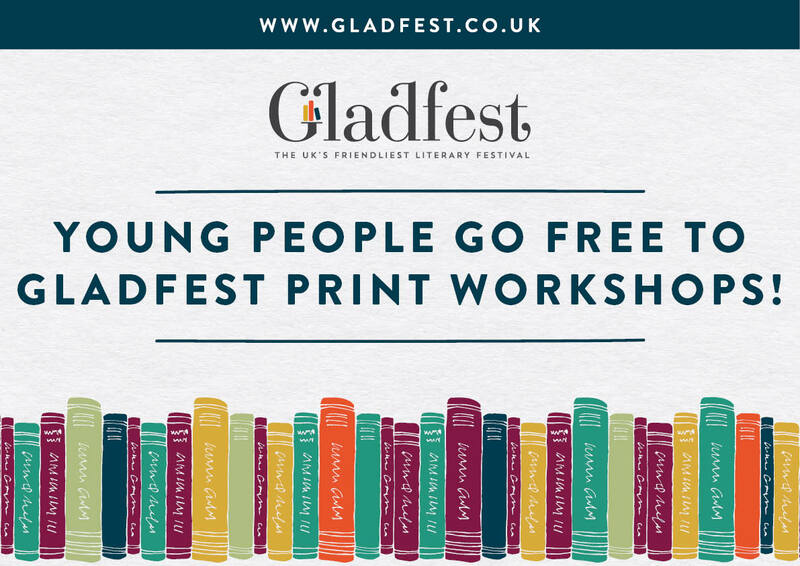 Young people go free to Gladfest Print Workshops! We're offering all ticket-holders to our Gladfest Young People’s sessions free entry to Ruth Thomas’ Roald Dahl-inspired print workshops!! 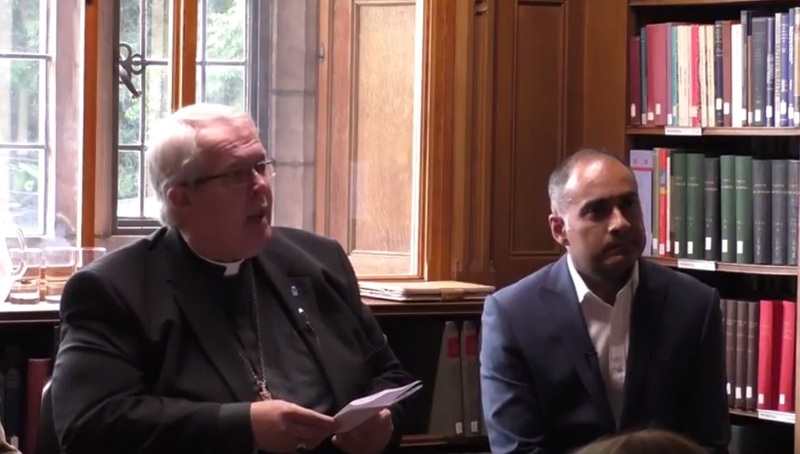 Watch the video of Founder's Day 2016 at Gladstone's Library which asked the question Is the term 'Liberal Faith' an Oxymoron? 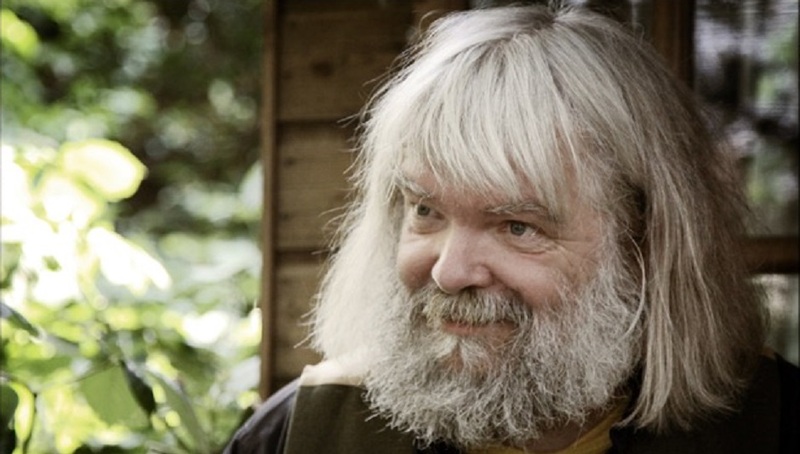 Malcolm Guite is a poet and a priest working as Chaplain of Girton College, Cambridge. He also teaches for the Divinity Faculty and for the Cambridge Theological Federation and lectures widely in England and North America on Theology and Literature. Malcolm works as a librettist for composer Kevin Flanagan and his Riprap Jazz Quartet, and has also worked in collaboration with American composer J.A.C. Redford, and Canadian singer-songwriter Steve Bell. He was the inaugural Artist in Residence at Duke Divinity School in the USA in September 2014, and ‘Visionary in Residence’ at Biola in Los Angeles in March 2015. Let us treat you to dinner! 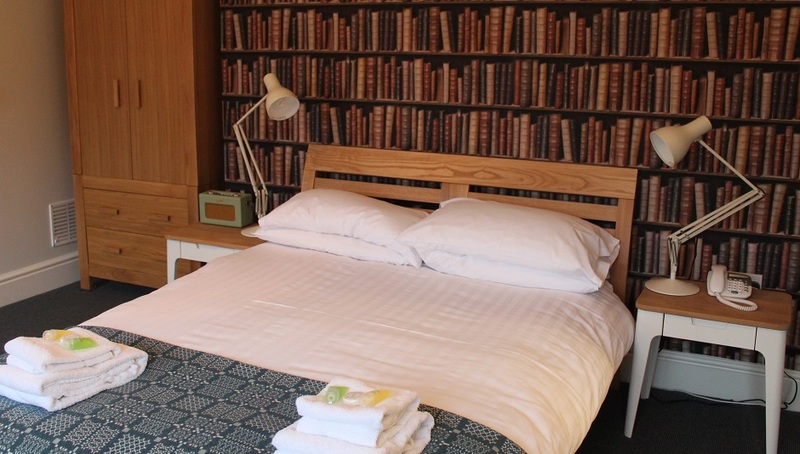 Stay at Gladstone’s Library for a minimum of two consecutive nights between 28th August and 30th October and take advantage of our Sunday Special offer! As long as your stay includes a Sunday night, we will treat you to a FREE two course Sunday Dinner (served 6.45pm – 7.15pm). Ian Parks was one of the first Writers in Residence at Gladstone's Library in 2012. His collections of poems include Shell Island, The Landing Stage, Love Poems 1979-2009, and The Exile's House. 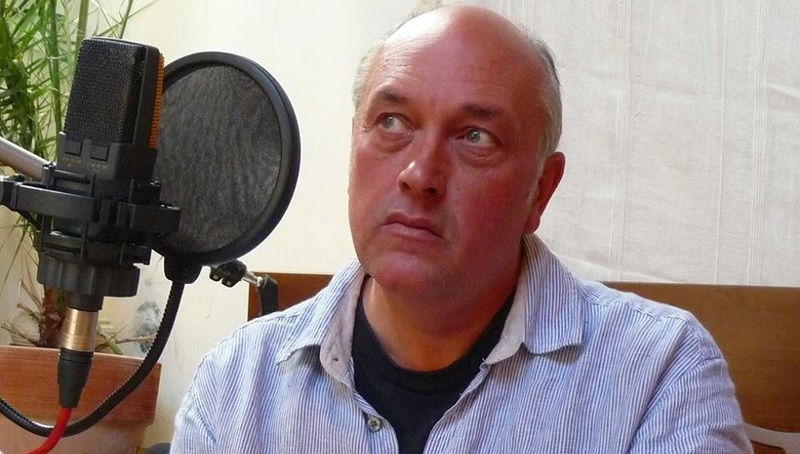 He is the editor of Versions of the North: Contemporary Yorkshire Poetry and was Writing Fellow at De Montfort University, Leicester from 2012 - 2014. 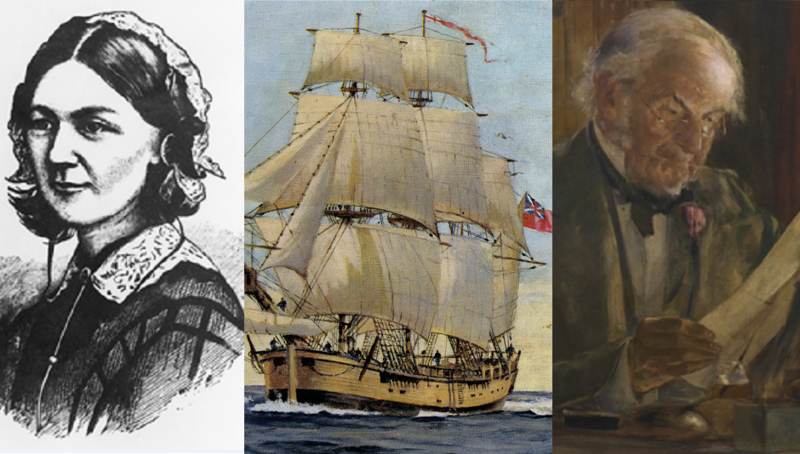 With the wisdom of William Gladstone ringing in our ears, we asked the ‘delightful society’ of Gladstone's Library staff to tell us about a book that they love. A book-list with a difference. I am a sixth form student from Hawarden High School studying Mathematics, History, English Language and Media Studies. After having started my year 12 syllabus in History studying British Prime Ministers and already gaining a strong interest in William Gladstone and his work, I immediately thought of Gladstone’s Library as an apt location for work experience as it's just a few minutes down the road from where I live and has an abundance of literary works which link into the British Parliamentary Reform I have been studying. Winner of the New Welsh Writing Awards 2016 announced! 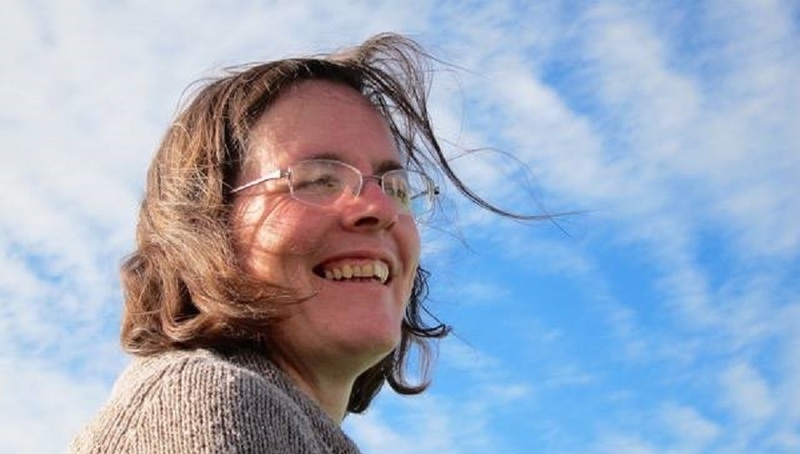 New Welsh Review has this week announced the winner of its New Welsh Writing Awards 2016: University of South Wales Prize for Travel Writing. The Prize celebrates the best short form travel writing from emerging and established writers based in the UK and Ireland; its judges New Welsh Review editor Gwen Davies and award-winning travel writer Rory MacLean. 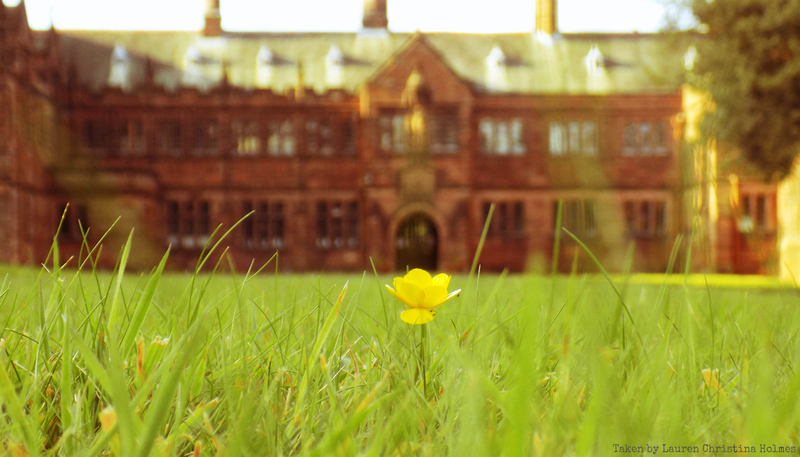 Sunshine or no sunshine, the Library is the place to be! OK, so the heatwave we’d hoped for has not materialised quite yet but every so often those rays do break through, bathing the ground in a glorious sunlight, and July is looking promising! 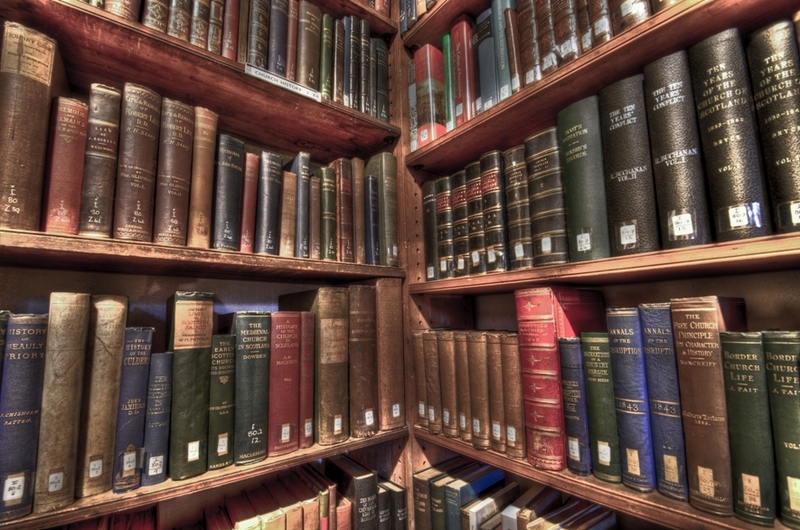 A Reading List for Gladstone’s Library. This biography contains information not only on the early life and the short but ruthless reign of Mary I, but the political manoeuvring which took place after the death of Edward V on 16th July 1553, when, on his deathbed, he named Lady Jane Grey as his successor, despite his father’s Third Act of Succession. This left both of Henry VIII’s daughters, Mary and Elizabeth, without a legal claim. The book details how Mary then raised an army to take the throne for herself and the turning of the Council of Lords on Jane and John Dudley. A ‘dictator’ is defined as ‘a person exercising absolute power, especially a ruler who has absolute, unrestricted control in a government without hereditary succession’ (www.dictionary.com). 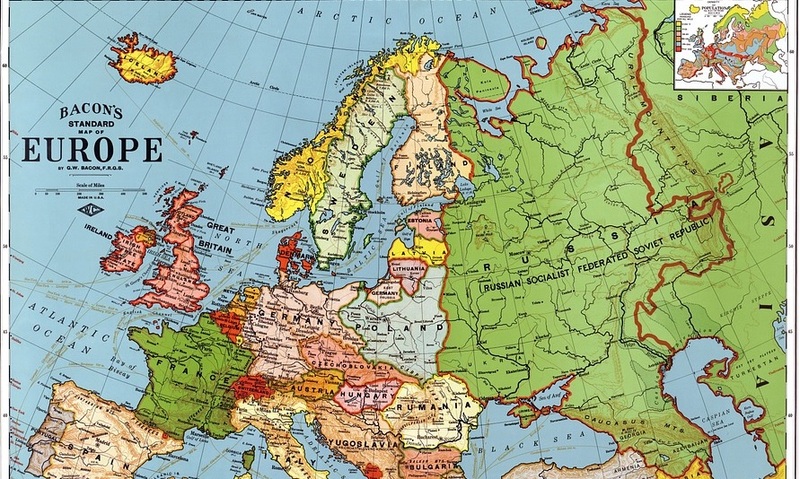 During the 20th century, Europe experienced some of the most manipulative and cunning dictators in history, including Mussolini, Hitler and Stalin. Below are a series of reading lists relating to this topic, to some of the most brutal dictators Europe has known. Gladstone’s Library’s Writers in Residence 2017 Shortlist Announced! 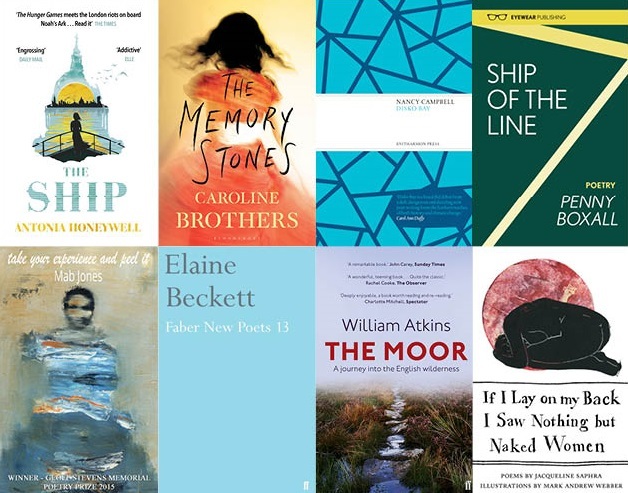 Today Gladstone’s Library has revealed the names of the 10 writers shortlisted for its prestigious Writers in Residence award for 2017. Now into its sixth year, Gladstone’s Library’s successful Writers in Residence programme was established in association with Damian Barr (saloniere and author of Maggie and Me) to explore and define liberal values in the twenty-first century. 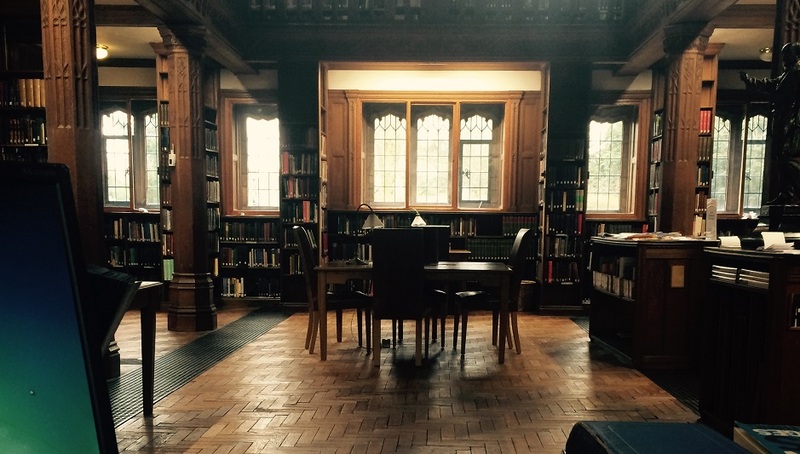 Last weekend I ran a workshop for around 20 people as part of my writing residency at Gladstone’s Library. I arrived a week earlier, on the Sunday when the news was breaking about the brutal murders of dozens of people at Pulse, an LGBTQI nightclub in Orlando. On Thursday, as the ghastly news from America had only just begun to soak into the fabric of the world’s narrative palimpsest, I was writing at my desk when I heard about the murder of Jo Cox on the streets of West Yorkshire. That same day, I read, Boko Haram had shot dead 18 women who were attending a funeral in Kudu, Nigeria. The news reports on all three cases, and the Twitter updates and Facebook posts about them, combined to have the effect of making the world – already a dangerous place – feel somehow more urgently precarious. 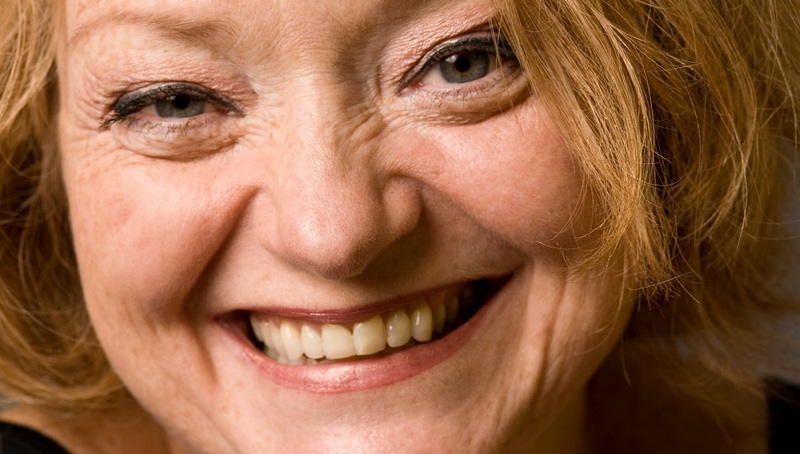 We are thrilled to offer our congratulations to 2012 Writer in Residence and Trustee, Stella Duffy, who has been awarded an OBE for Services to the Arts in the Queen’s Birthday Honours List! It is always a pleasure to work with Stella and we can think of few people more deserving of this award. 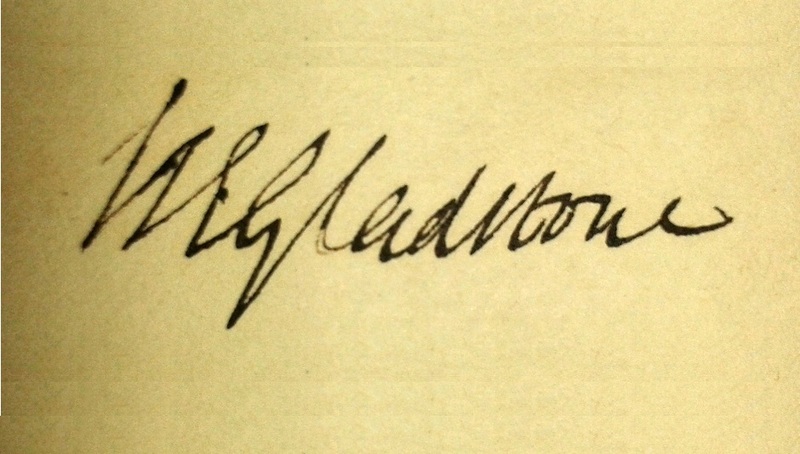 William Ewart Gladstone, the founder of Gladstone's Library, was a diligent and intelligent man. Apart from being Britain’s longest serving Prime Minister to this day, he also managed to read 22,000 books and even found the time to annotate 11,000 of them. 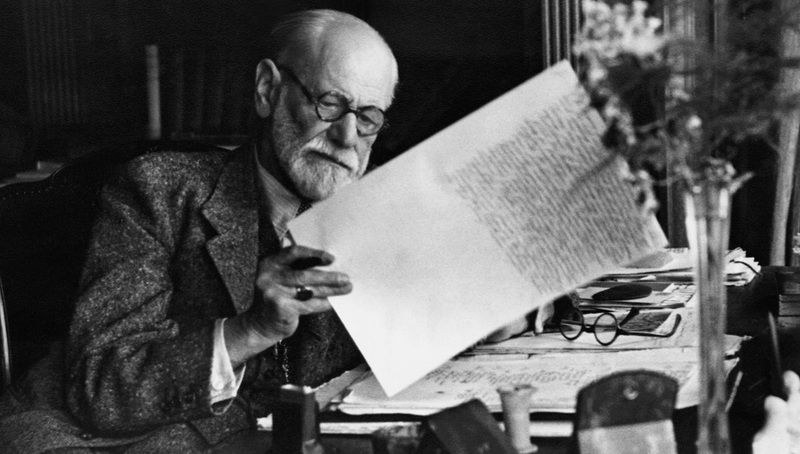 And not just in his native language, English; he also annotated his books in at least five other languages: Latin, Italian, Greek, French and German. The reason I wanted to spend my Work Experience at Gladstone’s Library was because I wanted to be surrounded by literature. Gladstone’s Library offered a fantastic chance to be personally enhanced by its vast selection of books and debates whilst advancing my career skills and vocabulary. The Library also provided a prime opportunity to understand the versatility necessary to be a successful employee. 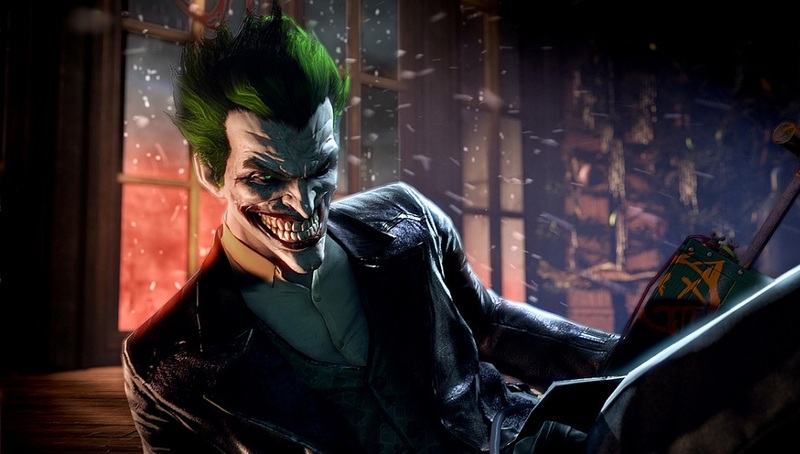 I am a year 10 student in St Richard Gwyn Catholic High School, studying English Literature, French, and Drama. Outside of school (and my time at Gladstone Library), I go to my local drama group. 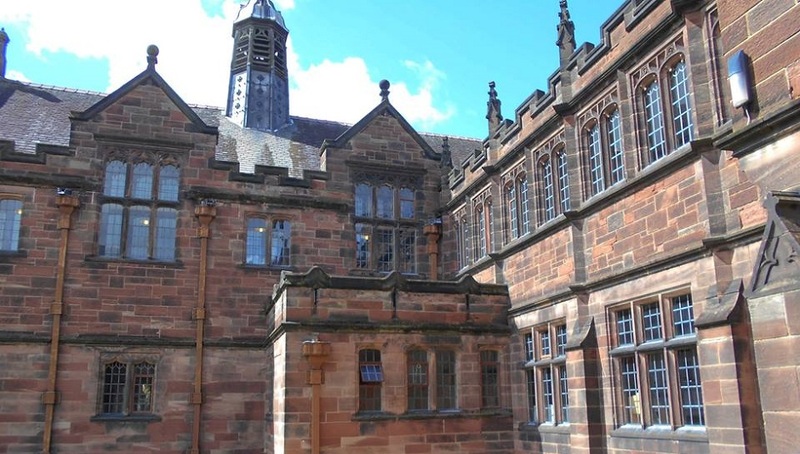 The reason I wanted to spend my Work Experience at Gladstone Library was because I was looking for a place that fitted in with my three GCSE options. After researching some different options. 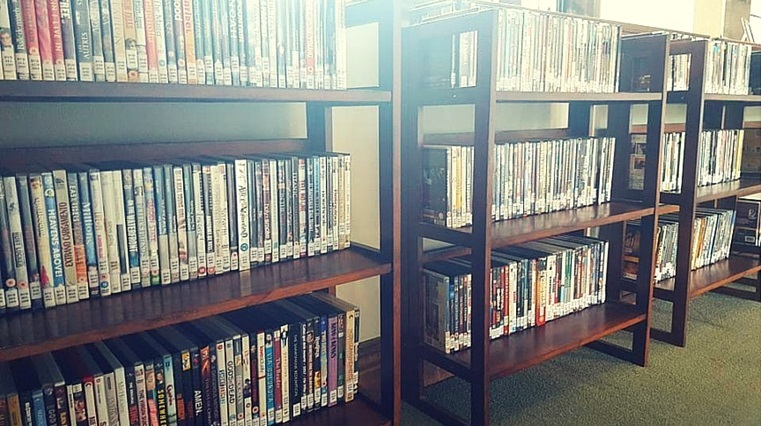 Over the last week, the Film & Theology DVD collection at Gladstone's Library has almost doubled in size. Why? Thanks to a substantial donation from Warden Peter Francis of over 160 new DVDs from his own personal collection. Learn a language in a week at Gladstone’s Library! Our range of residential language courses is designed for linguists of all abilities. 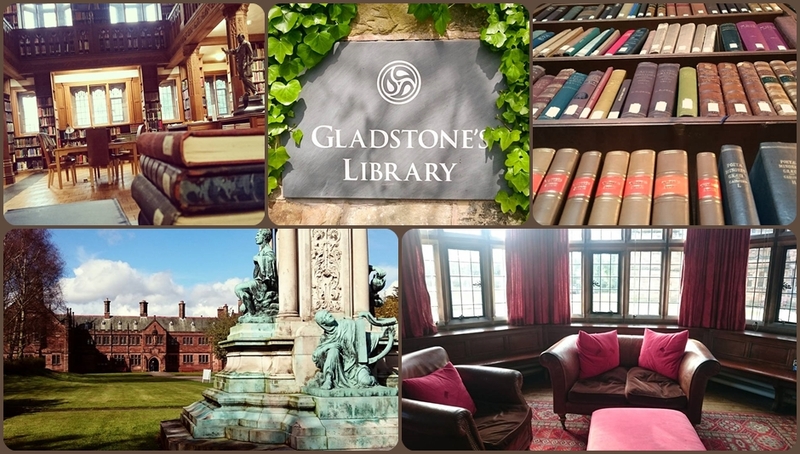 Stay with us for a week in the beautifully tranquil surround of Gladstone’s Library, perfect for study, and leave able to translate and converse. 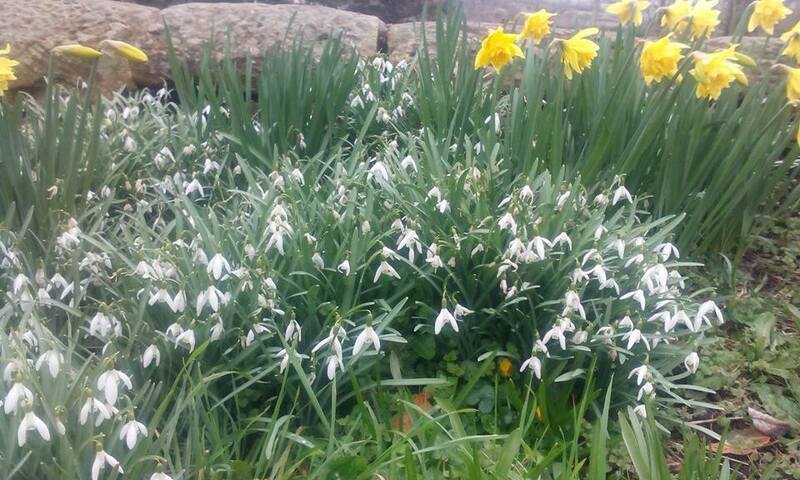 Spring is a time of change and natural miracles. Just to walk around Hawarden is to be faced with ample evidence of this: the leaves are new-green, lambs hop in the fields, and country strolls frequently feature herds of cows who enjoy slobbering on my hands and terrorising my taurophobic co-worker. Do you know our next Writer in Residence? 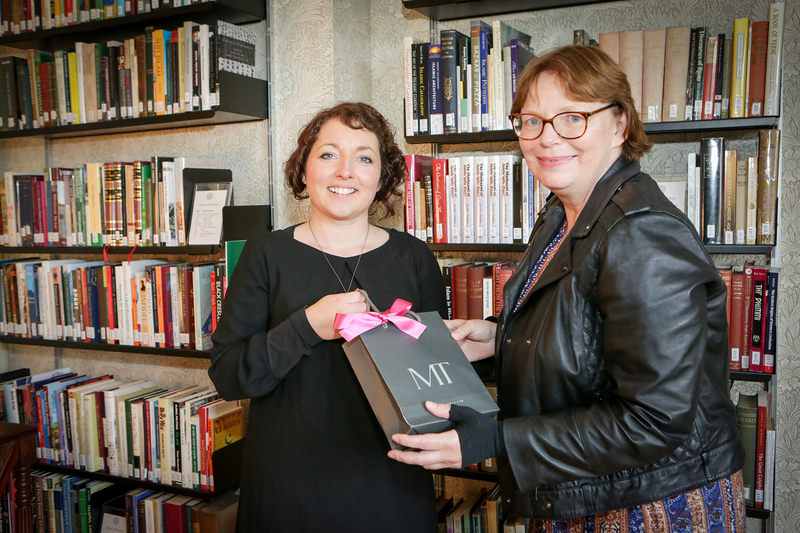 Our final two Writers in Residence of 2016 year were Amy Liptrot (The Outrun) and Susan Barker (The Incarnations) who stayed with us in throughout March and April respectively. 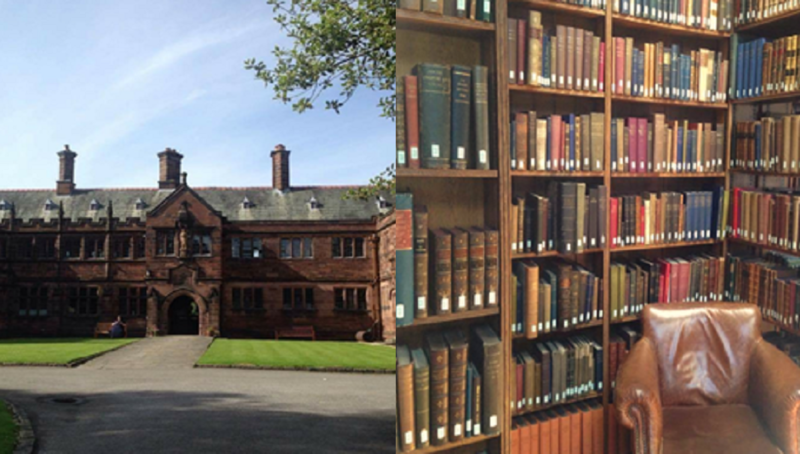 I am asked frequently by visitors to Gladstone's Library, and by my friends, what it is that I do during my time here. 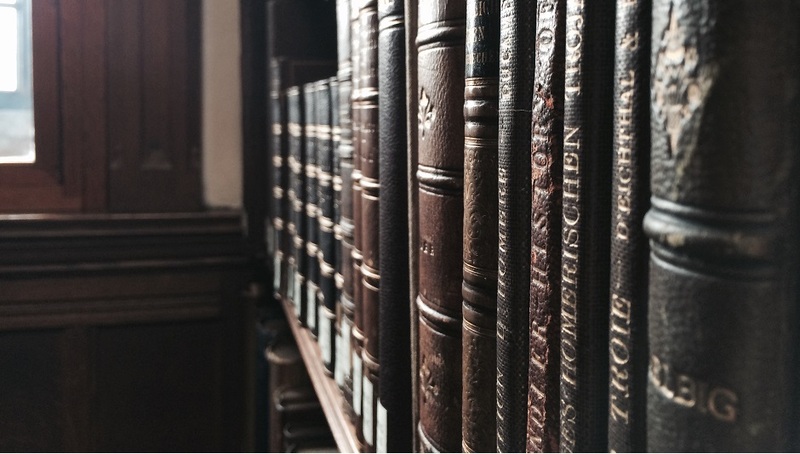 This blog will give a bit of insight into my routine as the only non-residential intern currently on the team at Gladstone's Library. 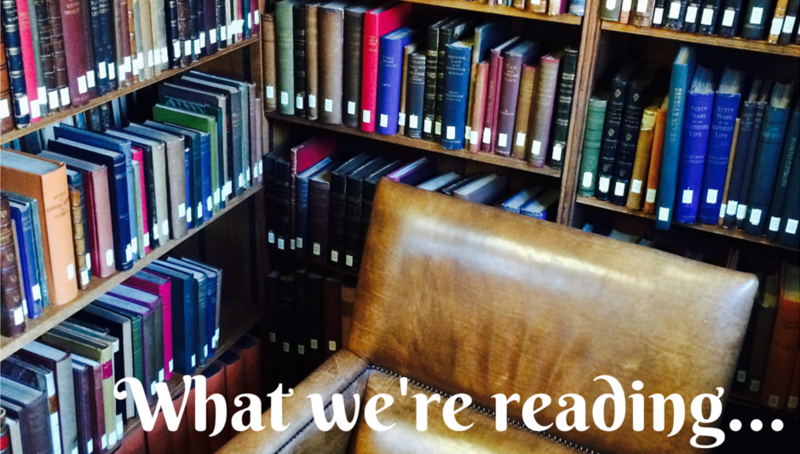 Ever wondered about the true scope of what we do here at the Library? We have just the course for you! This morning I put my swimsuit on under my clothes and drove from the Library to Snowdonia. On the way, I stopped at a Holy Well (‘The Welsh Lourdes’, 1 pound entry) where they displayed the crutches of pilgrims, no longer needed after taking the Holy Water. 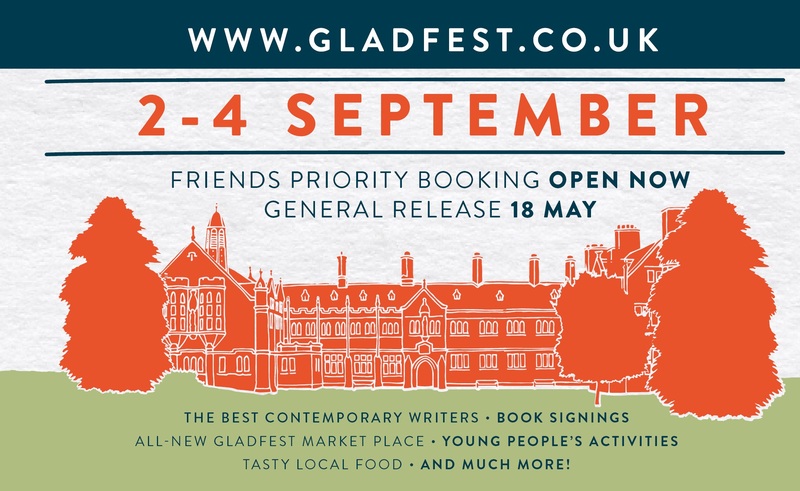 Friends priority booking for Gladfest 2016 open now! The UK’s friendliest literary festival returns 2nd – 4th September 2016 and to all of our valued Friends, we’re offering first dibs on festival tickets and exclusive accommodation for our most popular event of the year, Gladfest, as a thank you for your generous support. 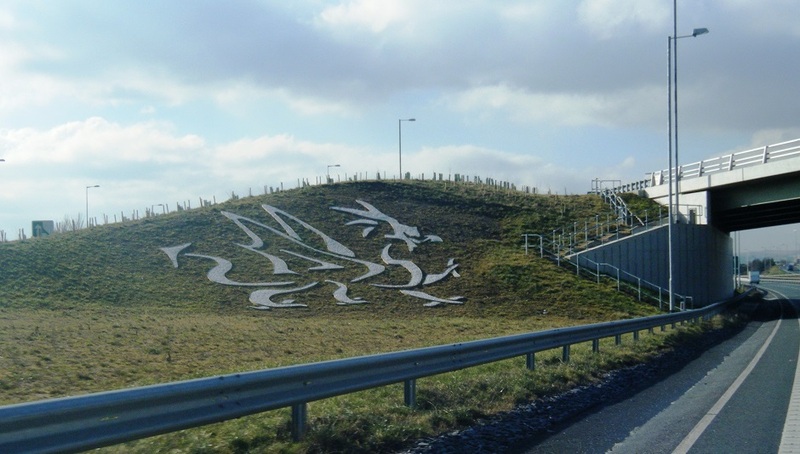 For any guests visiting us at the beginning of May, please be aware that the Queensferry roundabout will be closed overnight on Wednesday, 4th May and from Friday evening to Monday morning 6th - 9th of May. In June we welcome Timothy Sedgwick of the Virginia Theological Seminary to deliver a course exploring just that. 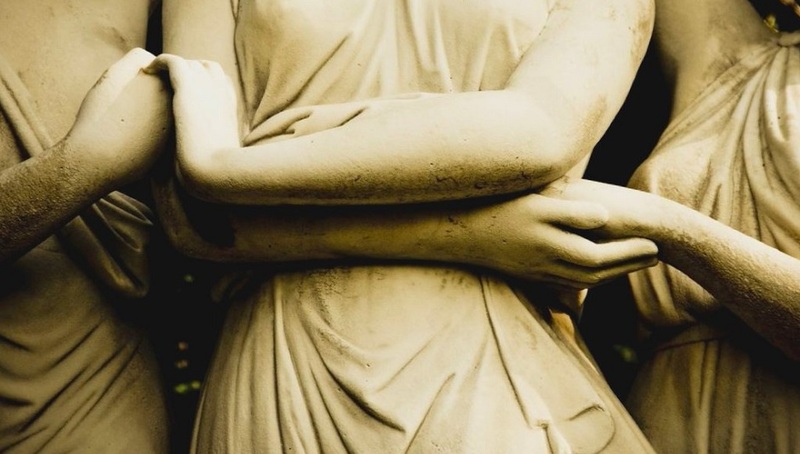 Considering a history of the transformation of desire, body and society, and the aftermath of the revolution, this course runs 13th – 14th June 2016 and will be an open forum for ideas and discussion. Today Gladstone’s Library was surprised and perturbed to find itself in the UKIP 2016 Welsh Assembly Election Manifesto which was released last Friday, 15th April. 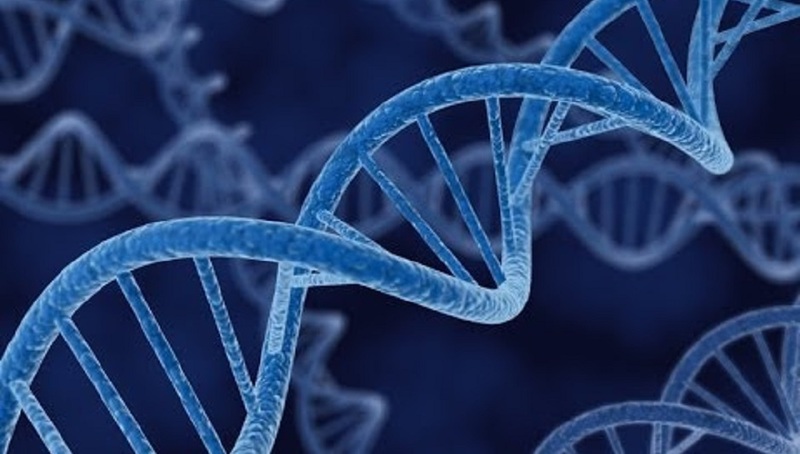 A writer I like, Mohsin Hamed, wrote an essay for the New York Times a couple of years ago, in which he described the DNA of fiction as a double-helix: one strand comprised of what the writer knows, and the other strand comprised of what the writer wants to know. DemFest 2016: what not to miss! ‘What is DemFest?’ we hear you cry! DemFest is the newest addition to the Gladstone's Library calendar. 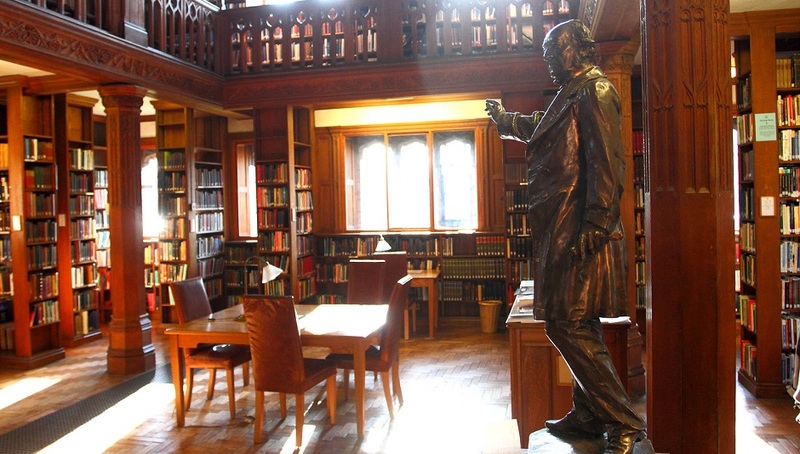 It’s a festival of democracy, celebrating the values of liberty and free-speech that Gladstone held so dear in his lifetime, and it’s happening from 13th May – 14th May 2016 throughout our beautiful Library building. Just what do our interns do all day? In her final blog, outgoing intern Kirsten-Rose Brooks bids farewell to the Library and provides an insight into life on the Library team. 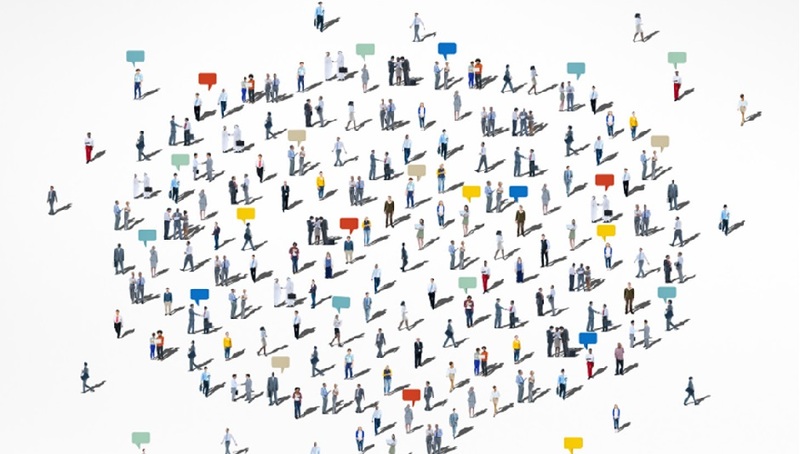 One of the Library’s most popular events returns with a democratic twist for 2016. Our Museums at Night events have seen us drink tea with Alice, ascend to poetic heights, wallow in the Gothic and shake hands with the Victorians. This year, to celebrate our first DemFest, we’re offering you to share your favourite political moments with the audience in our magnificent Reading Rooms. It’s rare that we allow talking in there so grasp this moment! I despair increasingly of the democratising potential of Twitter. 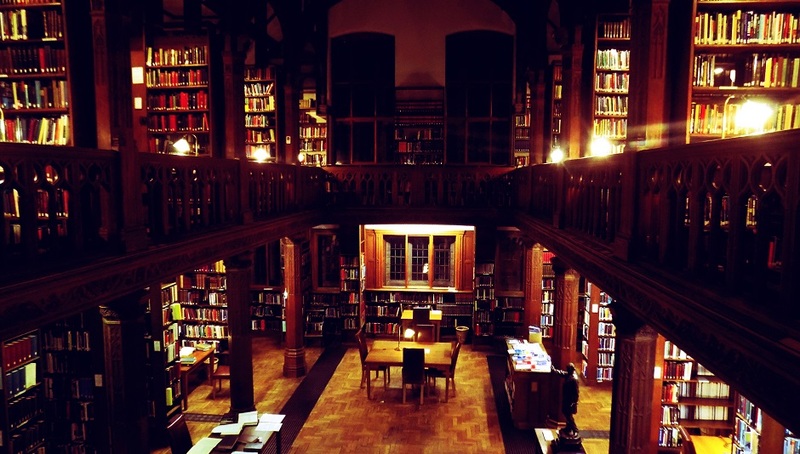 But it has achieved one good thing for me: it’s where I first heard about Gladstone’s Library. I first heard about Gladstone’s Library in 2011 when I picked up a leaflet at the Hay Festival. I am a huge fan of William Gladstone, a Prime Minister who, for all his failings, really tried to improve the lot of ordinary people. So I was delighted to discover his library existed, and furthermore that it was possible to stay there. I was in the midst of writing my novel Echo Hall at the time and the idea of a writing retreat at Hawarden was very tempting. But, it’s a long way from Oxford and being a busy working parent it wasn’t until 2013 that I finally managed to make the trip. 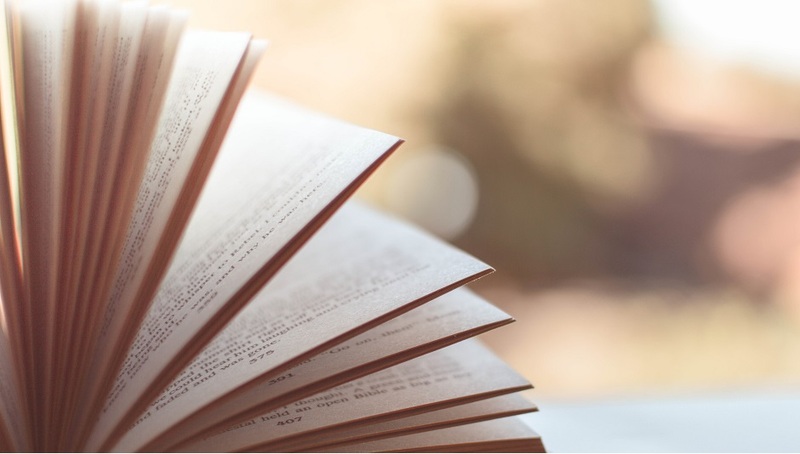 Welcome to a new series on the Volume blog, What We're Reading, in which members of the Library team divulge their current reads and what they think of them. 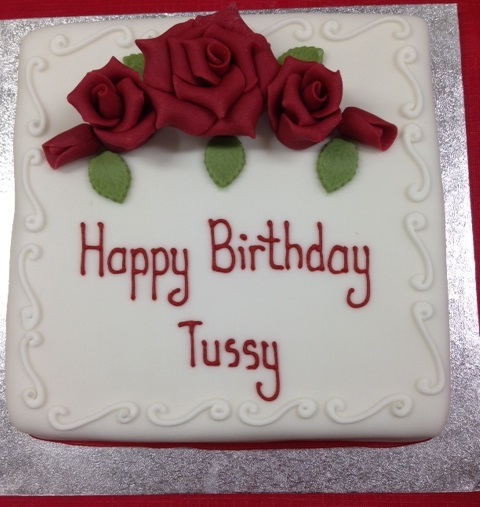 This week, it's my turn: Kirsten-Rose Brooks, one of the three library interns, avid reader and aspiring writer. As part of a seminar on Book Illustration organised by the Association of Independent Libraries, our very own Library Assistant Gary Butler gives a paper on the visualisation of science in nineteenth century literature at The Leeds Library on Friday, 15th April. 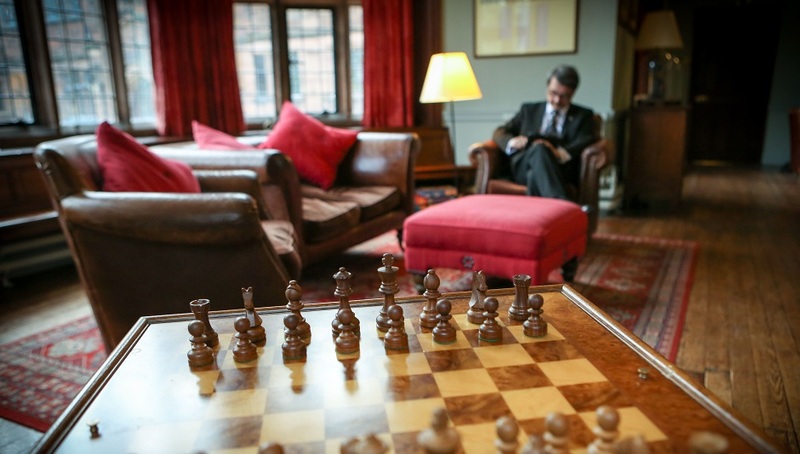 If you are lucky enough to stay at Gladstone’s Library for a whole month, and I was, it is almost inevitable that, by the end of your stay, there will be things that get left behind and other things you will take away. I could get metaphysical about leaving behind a month of my life that had now become the past but, instead, I’ll tell you about the washing I left. Now is not the time for intimate detail but you’ll be relieved to know the washing was clean and had been left hanging on a rack. I was soon reunited with it when it arrived in the post neatly parcelled up as a kind of living proof that my stay at the Library hadn’t all been a dream…(cue wavy images, floaty music…). Let me introduce myself: I'm Mary, the greenest Intern in Gladstone's Library, having begun 10 days ago. You may remember me from the 2am chat I had with you on the eve of my interview, when nerves stopped me sleeping and your portrait kept side-eyeing me. As I learn more about this place, I feel I'm getting to know you; let me reciprocate, then, by telling you about my first week here. 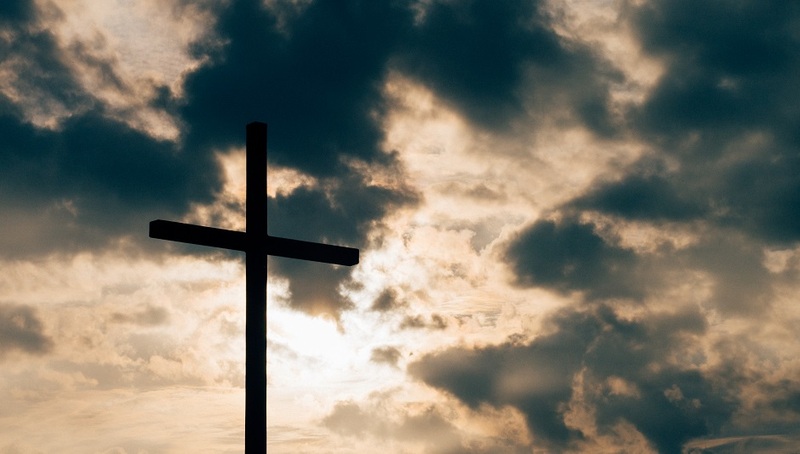 How important is the relationship between art and religious belief? 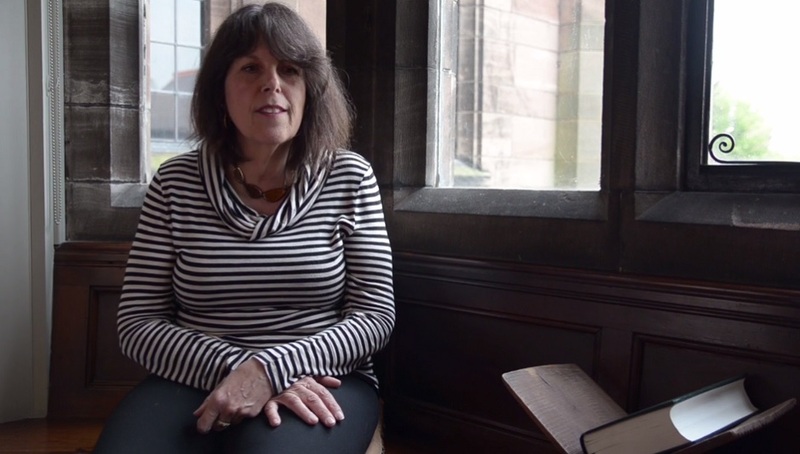 At the beginning of April we welcome Debbie Lewer of the University of Glasgow to the Library, to deliver a fascinating course on the connections between the two. 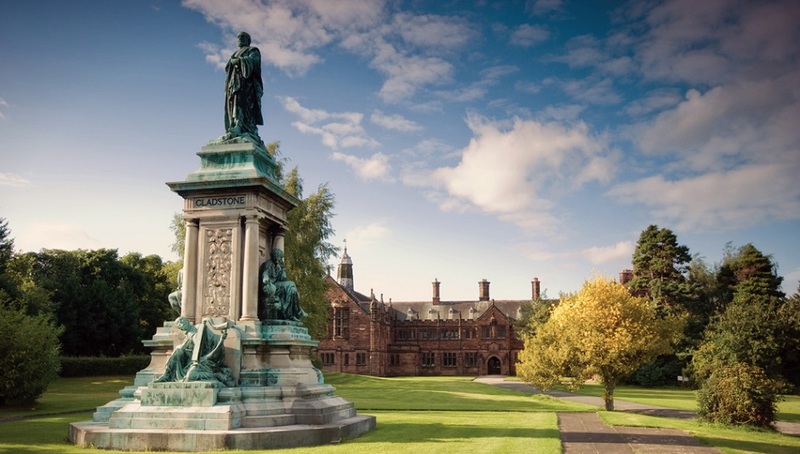 Gladstone’s Library runs an extensive and varied selection of residential courses each year. For periods ranging from overnight stays to week-long residencies, we invite you to retreat from the hustle and bustle and routine of everyday life and stay with us to find inspiration and contemplation. 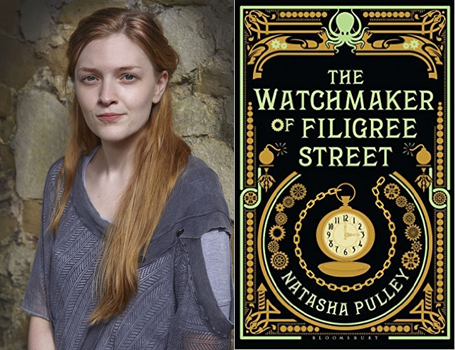 Natasha Pulley is our February Writer in Residence here at Gladstone’s Library. This means that for the entire month, Natasha has been living in, working on her current project, reading, conversing and just generally giving us all a lot to think about over dinner! 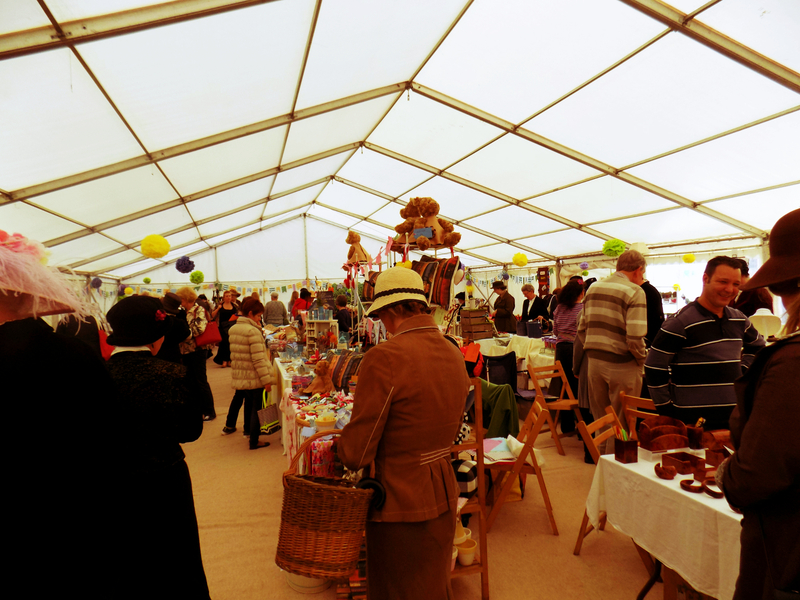 Reserve a stall at the Gladfest Market Place! Are you looking to showcase your business in a new area? The stunning setting of Gladstone's Library is the perfect place. At the Library, all of our staff and guests are united by (what else?) a love of books and reading. 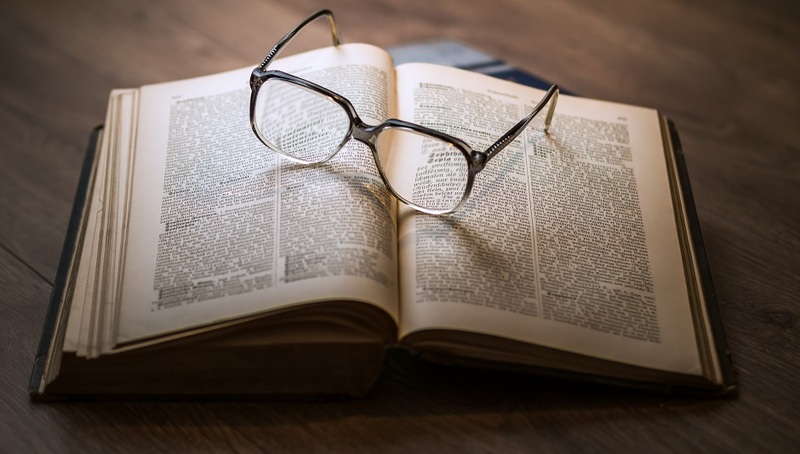 This week I investigated just what we’ve got our noses in at the moment, and there’s some fantastic reading inspiration to be found! "How and why did you choose this subject?" As a biographer, this is the question I'm most frequently asked. I've been on the road with my latest book, Eleanor Marx: A Life for nearly two years since it was published on May Day 2014, and there's not a single event, interview, lecture or festival so far where this question hasn't come up. We've put together a step-by-step guide to show you just how easy it is for Readers and Friends of the Library to request items from the comfort of their own home by using the online catalogue! 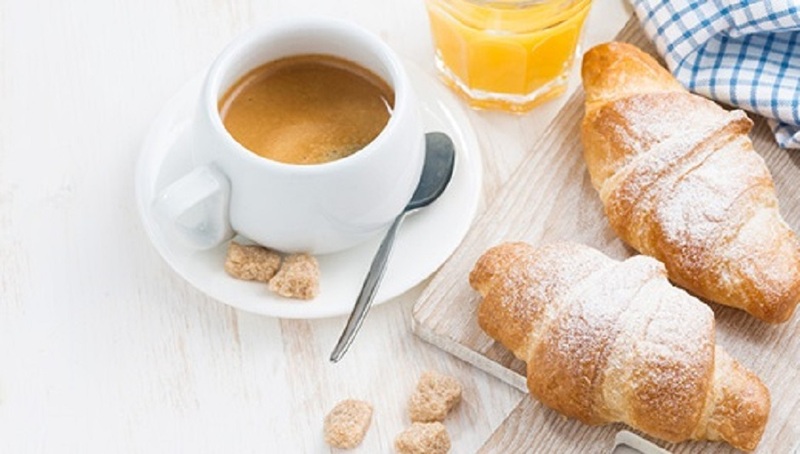 24th – 30th January is Breakfast Week, during which time organisations across Britain are coming together to shake up your wake up and offer something a little different in those early hours.